Christine Taylor is the Director of REACH*TEACH*PLAY Education Programs for the Ravinia Festival (2002 – Present). Under her leadership, Ravinia provides a myriad of music education programs throughout Chicago and Lake County, serving over twenty thousand students per year. Prior to working at Ravinia, Ms. Taylor was the executive director of the Boston Music Education Collaborative(1993-2001), a partnership of the Boston Symphony Orchestra, New England Conservatory, WGBH and the Boston Public Schools. In both posts she has been responsible for developing and expanding exemplary music programs, implementing those programs in public school systems and providing professional development to educators and artists. Her oversight of these programs includes strategic and curriculum planning, managing a roster of teaching artists, board management and fundraising. In Chicago, her work has expanded to include designing in-school artist residencies, overseeing Ravinia’s jazz mentorship program and cultivating cultural/community partnerships in some of the city’s poorest and under-resourced neighborhoods. In the last five years, under her direction, Ms. Taylor’s team has led Ravinia’s efforts to create an El Sistema inspired program, Sistema Ravinia, which now serves students in Chicago and Lake County at six program sites. Sistema Ravinia, Ravinia’s vision of an intensive orchestral music education program, fosters social development through exceptional music training for underserved students. Inspired by Venezuela’s influential El Sistema model, students in the program receive free daily ensemble instruction. Her skill in collaborative engagement has allowed her to assist Ravinia with its mission of developing broader and more diverse audiences for classical music. She is a talented public speaker who has given arts advocacy presentations and workshops at the local and national level. 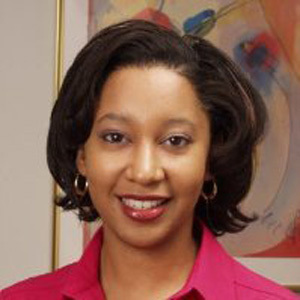 Ms. Taylor has served on several arts education boards including the boards which launched the Conservatory Lab Charter School in Boston and the Chicago High School for the Arts. She has consulted on music education initiatives with the Chicago Symphony Orchestra, Jacksonville Symphony Orchestra, Boston Area Kodaly Educators and Engaging Creative Minds in Charleston, SC and testified before Congress on the importance of music education in schools.